At first glance, North Buxton appears to be a typical town in rural Ontario: a semi-abandoned main thoroughfare, a few side streets, scattered houses, and fields. But, writes Convivium contributor Haley Welch, North Buxton is more than that. It is imbued with a deep history beyond its distinctive founding and the intimacy expected in rural communities. I used to think everyone celebrated Labour Day with a local parade. As far back as I can remember, my family marked that last weekend of summer vacation by piling into the minivan. We would set up our lawn chairs and prepare to catch as much candy as we could (the Labour Day parade had the best candy). We would stake our temporary claim on a spot on the side of an otherwise unremarkable rural road, fields as far as the eye could see, joined by relatives and people that my parents knew well but whose names I could never remember. There was waving, laughing, and conversations peppered with, “Did you hear about so-and-so? You know, the cousin of what’s-his-name?” My siblings and I were too busy being amazed by firetruck sirens and policemen on horseback to pay any mind to the family stories flying through the air as fast as the candy flying out of a tractor-turned-parade-float. I didn’t know it then, but I was playing a small role in something much bigger than a parade. I was participating, in a very small way, in the celebration of community. That dusty rural road leads to the town of North Buxton, and that parade was its annual celebration of “homecoming” – a time for community members near and far to come back and celebrate this special place. At first glance, North Buxton appears to be a typical small town in rural Southwestern Ontario: a semi-abandoned main thoroughfare with a few side streets and scattered houses, surrounded by fields of corn, soybeans, and wheat. But North Buxton is more than that. It is imbued with a deep history beyond its distinctive founding and the intimacy expected in rural communities. North Buxton is special. Lest you think I am overstating the case, consider this: In 2017, Homecoming Weekend was a four-day affair that included, among other things, a well-respected academic conference on black Canadian history, a family feud baseball tournament, a community bike ride, fireworks, a special church service, fairgrounds organized by three active community service groups, a car show, museum exhibits, and a parade. The events attracted thousands of visitors. All of this illustrates that North Buxton is more than just a typical farming town, it is a place filled with a particular pride rooted in history, memory, and lived heritage. To understand this place, one must understand how it came to be. The rural district that would become North Buxton was founded in 1849 as the Elgin Settlement, a social project led by the Presbyterian minister Rev. William King for former slaves from the United States. It was a planned community wherein former slaves would own land and gain the skills and capital needed to flourish in Canada – a jump-start into their new lives as free men and women. A few such settlements were established in rural Ontario, but most were deemed by history as failures due to their eventual dissolutions. The Elgin Association officially ended in 1873, but the social capital nurtured there remained. As Canada transformed throughout the late nineteenth and early twentieth centuries, North Buxton changed too. The town was not immune to the rising racial tensions that marked the era. Local newspapers testified to a range of opinions – both negative and positive – on questions of race and Canadianness. Yet at the same time, North Buxton boasted an integrated schoolhouse long before it was socially fashionable. It was also the site of political contributions that had international impact, and prominent families even hosted abolitionist John Brown as he prepared for his ill-fated raid on Harper’s Ferry, a prelude to the American Civil War. North Buxton is more than a former settlement for runaway slaves or a relic of a shameful era of North American history. North Buxton is a community, and it is very much alive. At the height of its growth, North Buxton was a well known and active participant in local and national affairs. Later, it would experience economic struggles and a rural-urban population exodus similar to that of other surrounding towns. With each generation, this place transitioned from a settlement of former slaves governed through a missionary association to a full-fledged community tied together by an earned inheritance built on more than just race. Recently, North Buxton emerged in the spotlight again due to a dispute over a local church building. 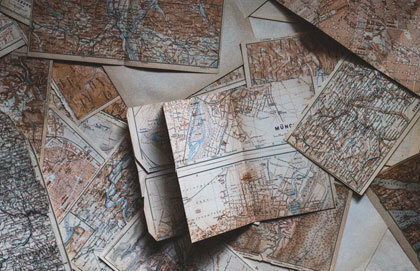 Religion is woven into the fabric of this place, from its founding as a Presbyterian settlement, to the many churches that have come and gone throughout the years. The British Methodist Episcopal church persisted longer than most, but in 2003 it became North Buxton Community Church when the congregation decided to break ties with the denomination. After years of negotiation, the structure is now set to be repossessed by the denomination. North Buxton Community Church scheduled its final service in the building, and issued an open invitation to whoever wanted to come and mark the end of this era. As congregants are quick to point out, the building is not equivalent to the church, but rather the place in which the church meets. But place matters because it acts as a tangible proprietor of heritage. In North Buxton, heritage matters because it is not simply remembrance of the past, but the living out of that same connectedness in the present. In a turn of events last week, a local lawyer agreed to take up the cause anew. 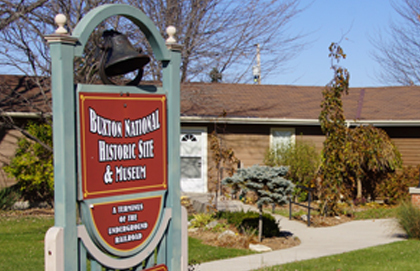 North Buxton may not top the list of the most popular tourist attractions in this Canada, but it is worth a visit nonetheless. Designated as a National Historic Site in 1999, the museum hosts a fascinating collection. There, you can marvel at a large liberty bell gifted to the community in 1850, tour the famed schoolhouse, walk through a former slave’s house once erected in hopes of establishing a homestead in freedom, and explore the many other artefacts that testify to the historical significance of this place. But behind the museum, you’ll also see a baseball diamond and a collection of picnic tables anchoring a large park. Ask one of the friendly museum staff, and they will tell you of how their ancestors settled here and of how their descendants continue to gather here, in this very park, just steps away from the museum’s front door. After all, most families living in North Buxton today can trace their ancestry back to original inhabitants of the Elgin Settlement. The North Buxton community today is tight-knit, a state secured through a century and a half of growth and shared persistence in this corner of Canada. Although my family isn’t from North Buxton, my relatives used to reside on a nearby farm. Somehow, it made sense to come here on Labour Day. Homecoming Weekend is, ultimately, about celebrating and extending the welcome of community – something this place and these people embody instinctually. I haven’t been to the Homecoming parade in a few years. They don’t throw candy anymore, which would be a real disappointment to childhood-me. But now I recognize that something bigger is afoot in this place, on Labour Day and every other day. This is just one spot on a map, but it is also one piece of the Canadian story.